« …. but I know it when I see it. Despite giving a very activists impression to the people around me, the last month passed through my fingers like the sand of a oceans dune. After giving lectures at the university on cancer and on stem cells, and after hosting the annual meeting of a joint European research project, after having published 2 new papers in biomedical journals and negotiated with some great scientists at the Weizmann Institute in Rehovot about the prospect of a new colaboration, I today realized that theres is no excuse to pass more than a month without a post to my blog. 1. My good bike has been stolen (but a very nice and enchanting police lady wrote a report on this, giving me some hope that the insurance will refund me for the loss). 2. As every year in the beginning of the cold season, I continue to go swimming in the chilly Isar channel that I have to pass on my daily ride to work. 3. 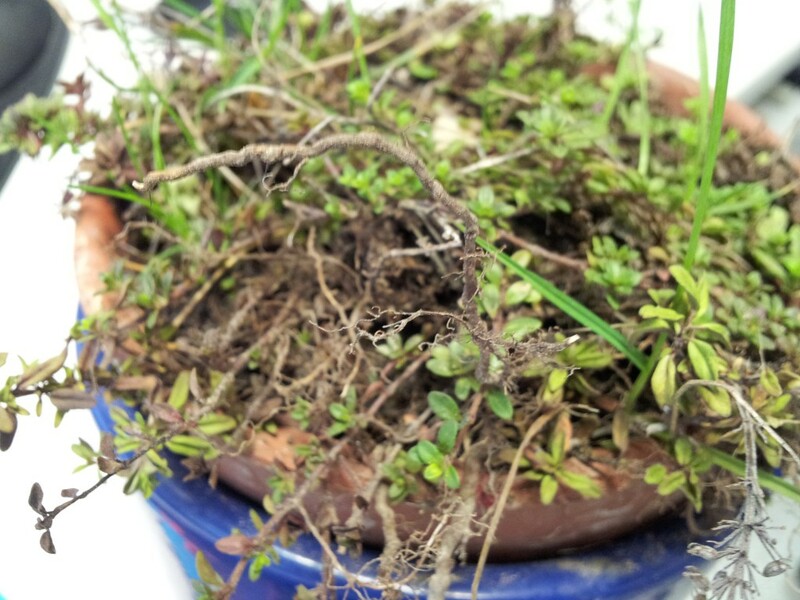 I managed for the first time to grow wild thyme in a pot on my office window. 4. I had an amazing journey through Israel, about which I will write more in detail soon. 5. Autumn is always a time with lots of good new books in the stores. 6. Tonight I will go and listen to Amir Hassan Cheheltan, reading at the Munich bookfair. 7. I recently trapped my 17 year old son, wearing an old leather jacket (approx. 60 years old) that I had been given once by my later uncle, who weared it when was driving his farm tractor on the cooperative fields.